The life of an artist isn’t easy. It may look glamorous from a distance or it may seem like we are always traveling or living the life of leisure. But that could not be farther from the truth. Being an artist in the modern world is a lot of hard work. Not only are we responsible for the conception and production of our work, we must promote ourselves, get our work into galleries, elevate our status on social media platforms and constantly update our websites, oftentimes while we have a day job that pays our bills, our studio rents and our art supplies. The life of an artist is not for the feeble either. My work has been rejected for numerous juried exhibitions, fellowships and residencies…more than I can count actually. But I’ve received my fair share of acceptances into shows, awarding of fellowships and selling of my work too…and thats why I continue to keep putting it out there (besides the fact that I simply like the process of making the work itself)! So it was with sheer pleasure to learn that I had been selected to participate in the nationally renowned Professional Development Program of the Creative Capital Foundation of New York, which took place one Sunday this past October at 21c Museum Hotel in Louisville. This was BIG! Developed by artists for artists, the Professional Development Program provides career, community and confidence building tools to help all artists become successful artists. The day long workshop was led by professional consultant Colleen Keegan and artist/educator/Creative Capital awardee Beverly McIver. Spending a lot of time post-workshop with this workbook! The Professional Development Program teaches artists about self-management, strategic planning and goal setting to attain increased satisfaction in your life and career. Ummmm…yes please, I could use that! Other topics included communication, with tips on improving verbal communications in negotiations and the importance of developing of a strong “elevator pitch” as well as descriptive written materials for promotion and fundraising. After lunch we spilt into groups and addressed the specific topics of Time and Art Business Management and Financial Planning. One hell of a full day! Can you say inspiring…overwhelming…mind-blowing???! I’m still processing it…and I think that’s the point!! While I got so much from each part of the day, the one about financial planning hit home the most. More than any other profession, artists go out of their way to accommodate their clients, reducing their fees to please and overextending their time without proper compensation. This session in particular gave me the tools I needed to access a value to my time and work. I now feel more confident knowing what my work is worth, taking into consideration the time and skill behind all of it. I was also inspired by how far ahead the program motivated me to think about my life and career…what do I want to accomplish in 1 year, 5 years, 10 years? What do I want my obituary to say?? This is something great for us all to think about! 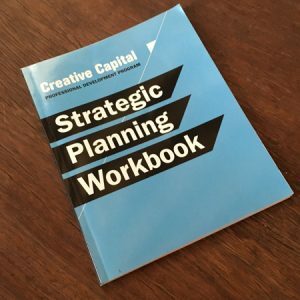 If you’re and artist and have the opportunity, take a Creative Capital Professional Development course…you won’t be disappointed! They also have webinars on their website that can be purchased and viewed on your own time. Thankful for the opportunity to participate in this most productive experience! Founded in 1999, Creative Capital is a groundbreaking organization that gives substantial grants and guidance to artists pursuing adventurous projects in a range of media and practices. 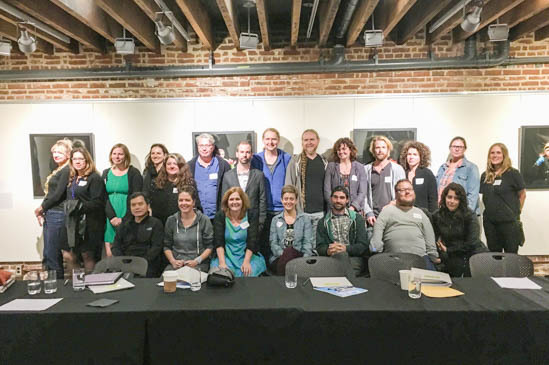 The professional development program, which has been presented in cities all over the United States, is designed to help artists learn how to manage their artistic careers, fund and market their work, communicate effectively, and develop sustainable practices.